Wei Son (孫 暐 Son ii, born October 13, 1989) is a Japanese fashion model who has been active in both the professional and commercial modeling fields since the late 2000s. She is particularly known in the gyaru scene, as a former major contributor to thePopteen magazineand an exclusive model for its sister magazine PopSister.There are several different ways of spelling her name in Roman script, including Ii Son,Wei Sun,and Wei Son. 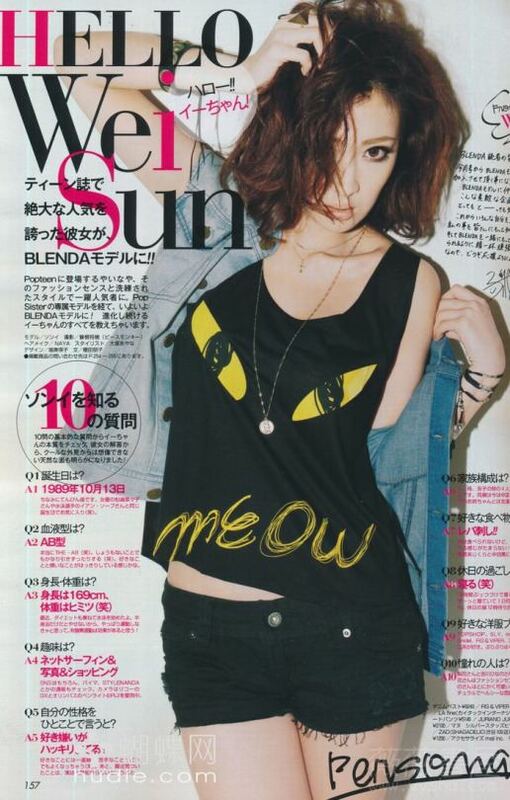 She first appeared in the Popteen magazine in May 2007 and was first on its cover in March 2008. In April 2010 when Popteen’s “older sister” magazine PopSister was first published, she appeared on it as an exclusive model alongside six other exclusive models.That same year she went to Shanghai to attend the Shanghai World Expo, specifically its event promoting the gyaru culture and various gyaru-brands, as a representative of the gyaru scene along with eight other Japanese models related to the Popteen magazine. 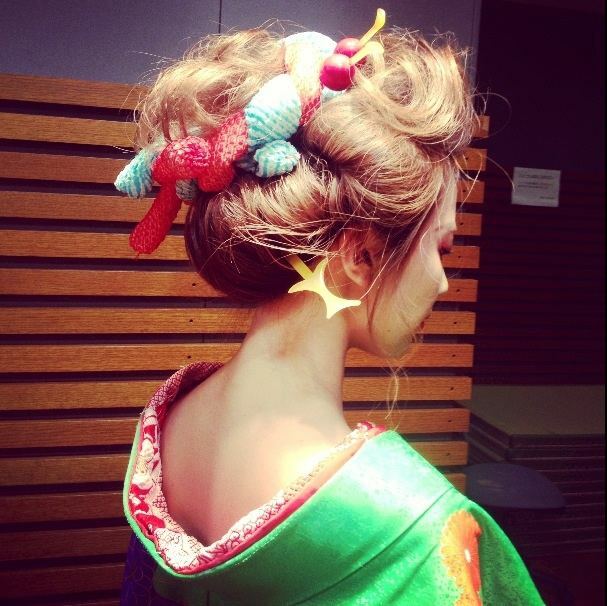 Shibuhara Girls noted that she appeared in South Korean media with a significantly different style from her in-Japan usual stylewith glitzy gyarumake-up. Being very active in the runway scene,she has endorsed numerous fashion brands, cosmetic products, and several non-fashion / non-cosmetic products including printclub machines.She also starred in the music video for Rake’s 2010 song “All I Need Is…”. PopSister ceased publication in September 2011. She had since appeared on various fashion magazines including the 250,000-selling Blenda magazine, and she began appearing regularly on Blenda as the youngest one of its faces in April 2012.